Have you ever played the game Mad Libs? Where there is a story written, but with random words removed? Those words are replaced with random words from unwitting helpers who are simply given a part of speech or other clue. The results are inevitably hilarious. Seeing as how we could all use a laugh right about now, I wrote this up and then asked my followers on Twitter to come up with the random words for me. I hope you enjoy the results…. 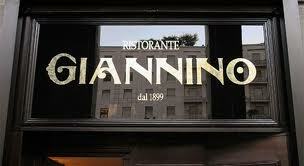 The following was overheard at Giannino’s, a restaurant in Milano, from a late night dinner with Silvio Berlusconi and Adriano Galliani. Berlusconi: How does it look so far on the transfer market? Galliani: Well the animals are still livid from the sale of Ibra and Thiago. But I’ve been able to pacify the Curva with plenty of tortellini. Berlusconi: They’ve been mad at us before, they’ll be mad at us again. As long as none of them throw a horse at my face like that crazy guy when I was Prime Minister, we’ll be fine. Truly, though, what’s the word on my favorite striker, Sheva? Galliani: Silvio, you know he costs ₱105.000.000! Surely this year of all years, we should think more practically, especially with Financial Fair Play? Berlusconi: You know I like my strikers, Adriano. But what of Guardiola? Has he been convinced yet? Galliani: He is a stubborn man. Not even that leopard’s head we had put in his bed convinced him. I really think you should stick with Allegri. He has done everything we asked and is still clueless about our plan. Berlusconi: Allegri? I never liked him. Too whiny for me. Although I do like that shiny TIM Cup he won for me. That was some luck, huh? Galliani: Yes, and if it weren’t for injuries, he could have brought us another one this year. That’s why we should keep him. He’s like the overachieving patsy. I can’t believe he got rid of all of our Senatori for us. And Andrea Pirlo helped us out by pointing straight at Allegri so the fans will hate him instead of us. 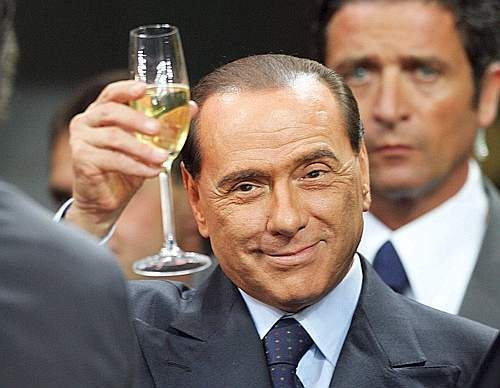 Berlusconi: Why don’t the fans like us? Don’t they trust us? 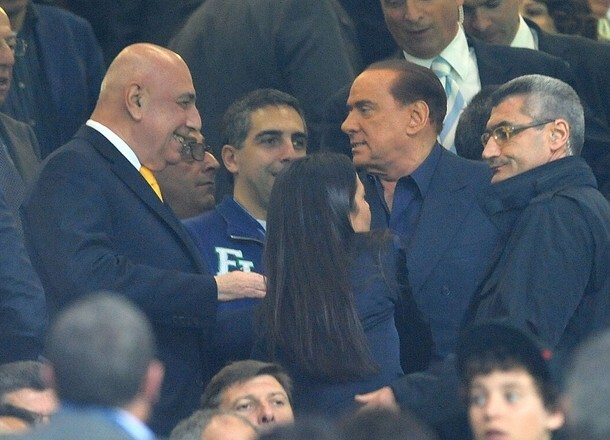 Galliani: Well, Silvio, you do have a bit of a reputation as a corpulent man. Berlusconi: What do you mean? Was it my last term as Prime Minister? They didn’t push me out, I chose to leave. Galliani: Ummm… no. No of course it wasn’t. But maybe they heard about your legal troubles. That Coca-Cola Company fine was rather large. Berlusconi: Oh, Adriano, why do you have to spoil such a lovely meal? You know my family and I were defenestrated in that nightmare. Galliani: Well, for someone who doesn’t know you, it is easy to see how they could lose trust in you, especially when there is the matter of that girl, Elaine. Berlusconi: Yeah, she was some hot piece of hand. Galliani: So anyway, I am working hard on a new striker for you. So far, I’ve spoken to the agents of Ledesma, Juan Sebastian Veron, and Ibrahimovic. Berlusconi: Is that really the best we can do? Galliani: For now, yes. I promise I will keep working on it. But you may need to spend a little less on the campaign and a little more on the mercato to get a better striker. Berlusconi: Fair enough. Everything costs money. Speaking of which, can you pick up the tab? I seem to have forgotten my pyramid. Special thanks to: Rodrigo Reyes @Rodrigow93; Jonah Gadsby @FJGadsby; AC Milan-France @milan_zk; Allison @maliciousglee; Ali @Black_Pepper85; Sam Lewis @SamCalcio; Gina Holt @ginaholt394; and La vita è bella @lavita8 for their contributions and for following me!